In October 2018, Switzerland-based 3-D-graphics software company Imverse released a public beta version of its LiveMaker modeling tool. This powerful virtual reality interface allows for the transformation of 2-D inputs into immersive 3-D environments. While the use of VR in the field of architecture and design is by no means novel, it has primarily remained a tool for the final visualization of a project. LiveMaker not only allows the user to navigate and interact with spaces and objects within a rendered 3-D environment, but also facilitates the real-time manipulation of details such as geometry, color, and placement. Within the digitally rendered environment, specific details imported from 2-D images are easily replicated and moved about the space. The foundation of Imverse’s ability to create this malleable VR interface is its proprietary voxel-based gaming engine. According to Benoît Perrin, head of marketing and communications, “most 3-D graphics today are based on polygons that complicate what should be the seamless creation of content, LiveMaker is the first application of a voxel engine as a 3-D modeling tool.” One of the more impressive tools stemming from the use of a voxel engine is the dynamic shading and lighting characteristics applied to objects–the shadow cast by a column at any time of day is immediately available. How is the application most useful for architects and designers? The platform presents a number of positive implications for firms involved in historic restorations or reconfigurations of protected sites. 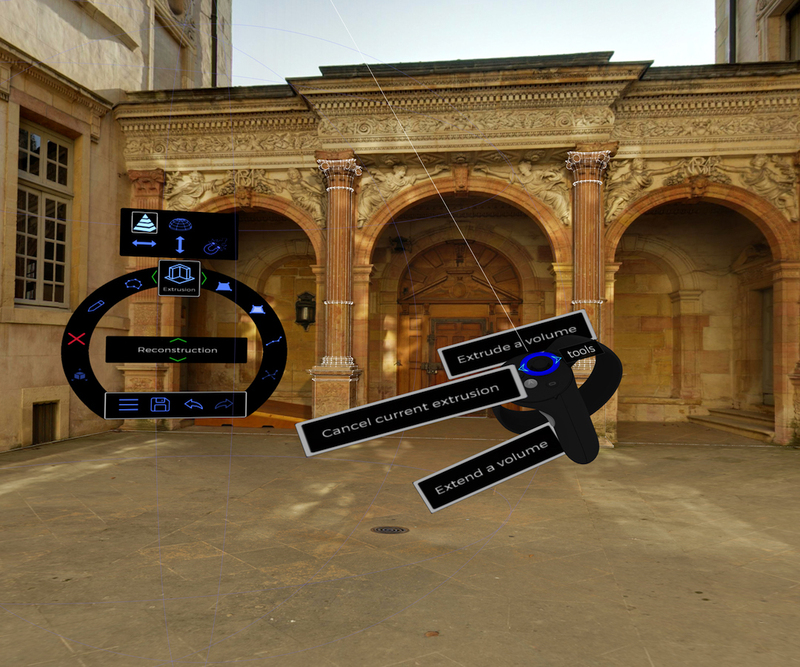 For example, with 360-degree imaging of Austria’s Hellbrunn Palace, a user can interact with walls, columns, and other elements. If the user comes across a specific detail or object of interest, they can be copied and exported as 3-D models across different rendering platforms. Going forward, features within LiveMaker will be upgraded and expanded by Imverse following feedback from users of the public beta release. The Sunday Craftsman House Tour is Craftsman Weekend’s signature event, featuring fine examples of the beautiful Craftsman architecture that makes Pasadena the destination for Arts & Crafts enthusiasts from across the country. Homes participating in the tour are located in Pasadena’s newest Landmark District and first Landmark District. Pasadena Heritage helped create the Landmark District legislation more than two decades ago. 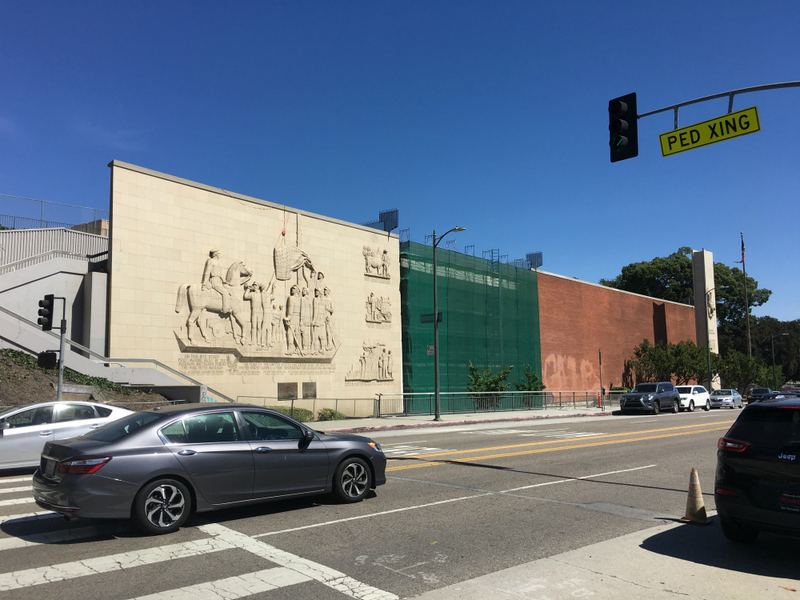 Checking in on the Fort Moore Memorial restoration in L.A.
Design professionals are being sought for a consulting role to provide a conditions assessment of the historic First Presbyterian Church complex in Stamford, Connecticut. As part of a multi-year campaign to repair, conserve, restore, and upgrade the complex, the selected team will be expected to complete an architectural analysis of the current conditions of the building and provide recommendations for its rehabilitation and restoration as part of Phase I. Phase II will see the implementation of these concepts by the same selected team. The complex in question includes the magnificent Wallace K. Harrison-designed sanctuary, completed in 1958, the 56-bell carillon tower, a community/education wing, and the surrounding 10-acre grounds. 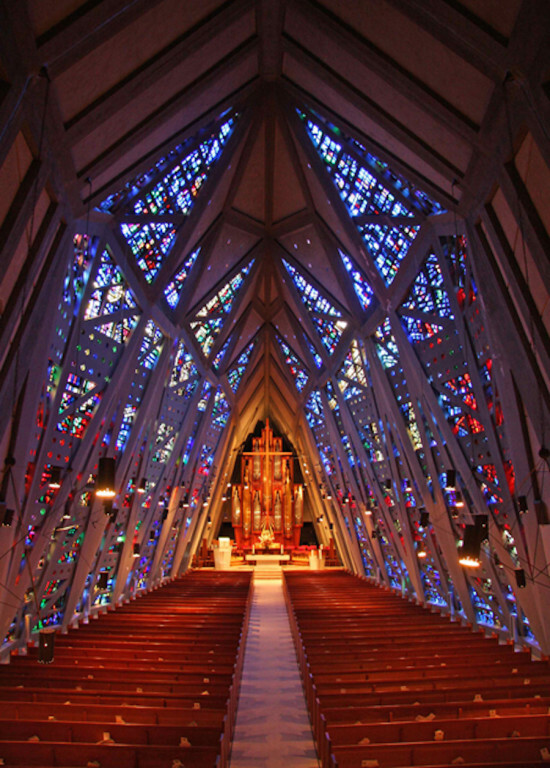 Over 20,000 pieces of faceted glass dapple the hushed sanctuary with its vaulted roof in sun-drenched color. The church itself is often likened to a fish, a symbol of early Christianity, and it, along with its sweeping complex, occupies an eminent spot on the Connecticut State Register of Historic Places. The conditions assessment in Phase I will help anticipate capital needs and outside grant funding needs in 2016 from the State Historic Preservation Office of the Connecticut Department of Economic and Community Development, as well as private foundations. Specifically, the chosen architect should earmark and document comprehensive repair needs for the envelopes, structure and MEP systems, and the interior finishes, and then also provide recommendations and a phasing framework for the restoration. 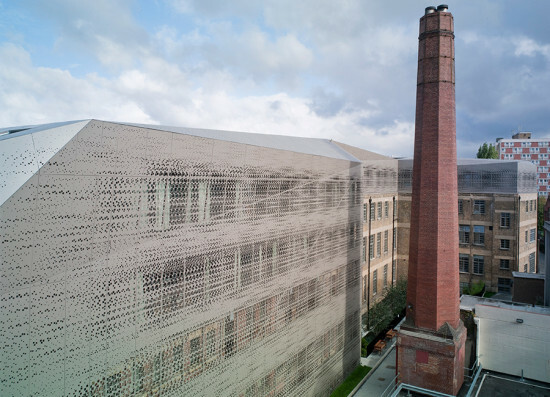 The facade itself is notoriously water-permeable and lacks weatherproofing, made from béton glass secured to side wall concrete panels with caulking. As such, high on the checklist for the chosen architect is to examine the extent of moisture infiltration of the sanctuary Dalle de verre and improve climate control in the sanctuary to facilitate summer use. The architect should also observe the structural movement of the Carillon Tower, with the end objective of establishing a preliminary project scope and expected cost of repairs in compliance with SOIS, budget, and schedule. The Highland Green Foundation and Fish Church Conservancy will oversee the entire multi-year restoration campaign, and will provide the architect with digital files of the original construction drawings of the complex. Leaders of the proposed teams must attend a mandatory walk-through at the church on July 9, 2015, at 10:00 a.m. RFQs must be received at the church office (1101 Bedford St) by 3:00 p.m. on July 24, 2015. For more information about entry requirements and the judging panel, click here.